The Night Quilter is a fairly new blog, documenting the crafting of a new, but hopefully blossoming, business. I’ve designed two paper piecing quilt block patterns so far, both of which are for sale in my Craftsy store. 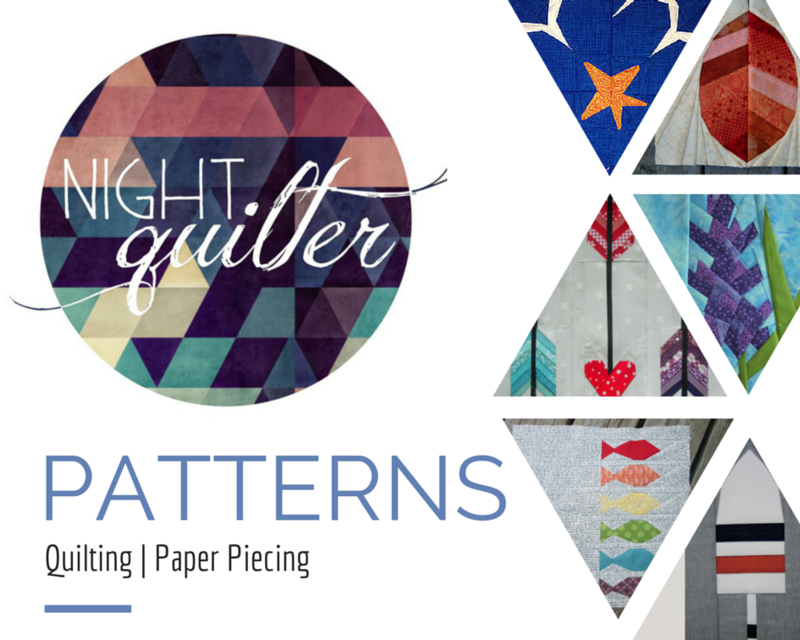 In designing these patterns, as well as in getting this blog going, I’ve been thinking that the Night Quilter really needs a logo. Every successful business has an image, or some consistent logo to help with customer recognition, continuity between patterns, the blog, a shop, etc. As an infant business, though, growing as a stay at home mom’s creative outlet and within a teeny budget, logo design options are pretty much limited to “make it yourself”. Enter the blogging world of pattern designers. Recently I was reading a blog with tips for getting a pattern design business started, and for the life of me I can’t remember which blog! One word stood out to me in the article, though, about delegating tasks to be more successful: barter. I decided to reach out to a local friend who happens to be a co-creator of a quickly growing new local business, Linear. Linear is a full service creative studio offering web design, graphic design, commercial photography, video production, and social media management. They do amazing work! I asked about the rate for logo design and Andrea said that a logo normally costs around $500 (only about $450 more than my budget ;)), but she also said she would be open to work something out or even barter. There’s that b-word again! “Do you knit?” Andrea asked the next day. Done and done. 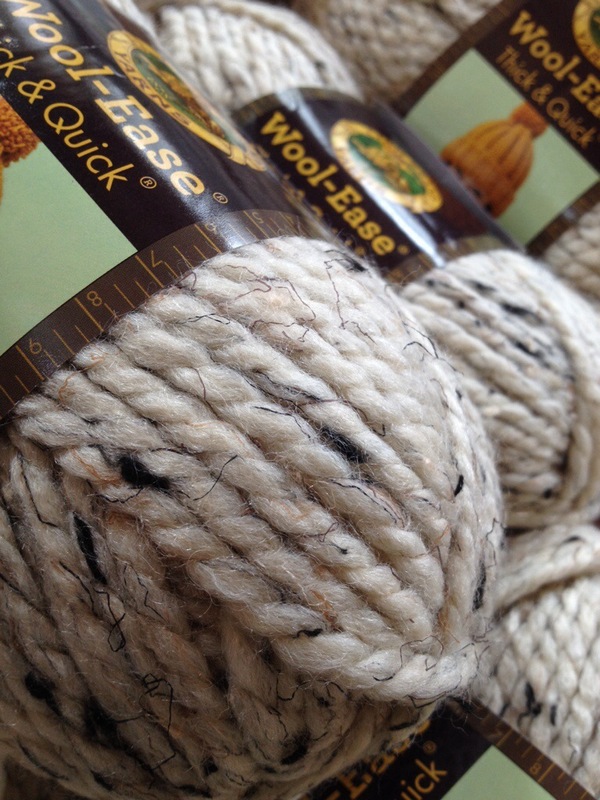 I am going to knit a PANEM Katniss Cowl Wrap by Dahlia in Bloom (found on ravelry!) for Andrea in exchange for logo design for the Night Quilter!! 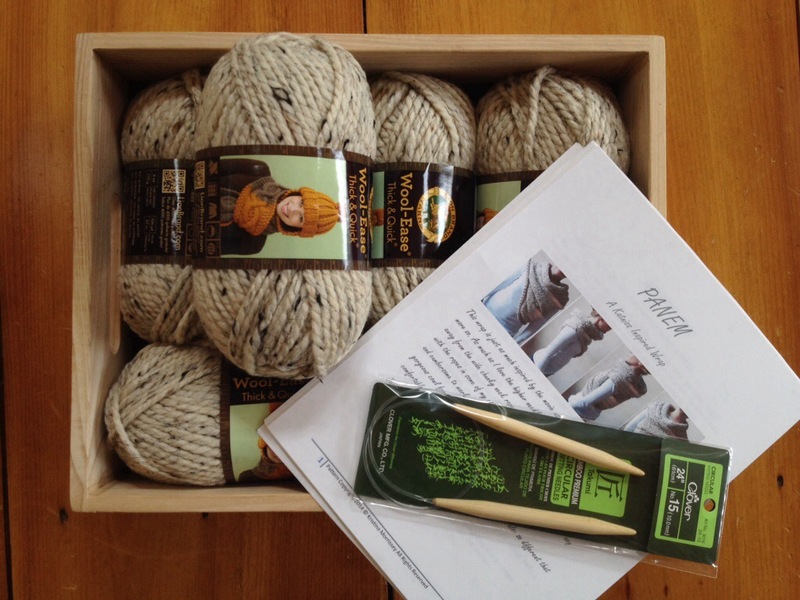 I’m so excited, both for the barter and for my awesome new knitting project! This will be the coolest thing I’ve knit to date! Andrea specified that she wants it to be soft and washable, so I decided to go with the same yarn used in the pattern: Lion Brand Wool-Ease Thick & Quick super bulky yarn in oatmeal. 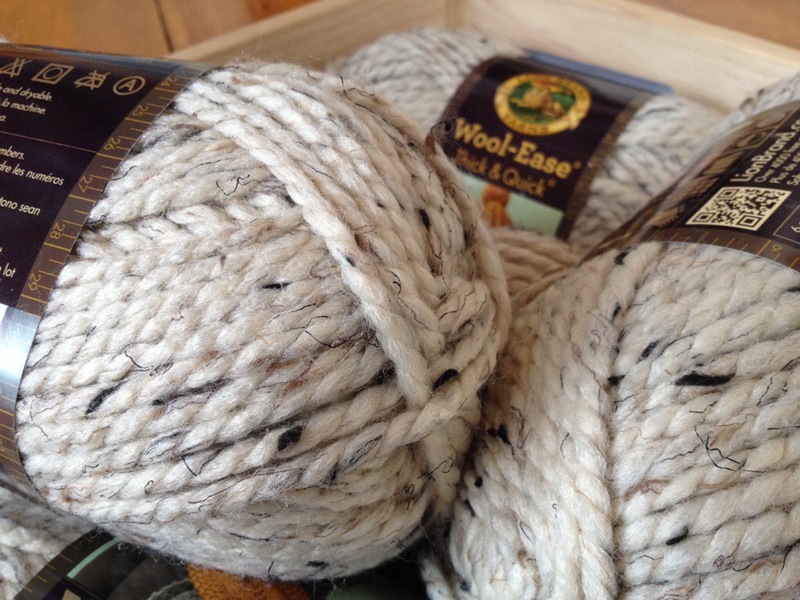 I couldn’t find enough of the yarn in local shops, so I ordered it online. It arrived yesterday afternoon, which is perfect timing since today we are driving down to New Jersey for a bit over a week, and I can’t bring my sewing machine! I cast on today during our epically long 11 hour car trip from Maine to New Jersey (driving with a 4 year old and 22 month old adds a few hours to the trip), and I love the project already. Pictures to come! Have you ever bartered for something awesome? We bartered tax prep service for a kitchen remodel! That sounds like a total win-win barter, MB! !